Apart from a sign at the airport saying “Special Alien Registration” I thought all was ordinary about San Francisco and the home of Facebook. But after a few hours it became clear that there’s a tech excitement in the air that we just don’t get back in London. Take the border officer stamping my passport who said “Facebook eh? Yes it used to be for school kids but now it’s commercial” or the Bangalore bound microsoft exec who perked up his ears at the words “social media” to grab my card. Pass by the Apple shop and there’s still an iQueue reaching round half the block at five in the afternoon, many days after the iPhone launch. Then at the adknowledge drinks party I got to meet the co-founder of MySpace, Brett Brewer, who is putting together a dream team for brands wanting to engage with social media. With the purchase of Dwayne Lafleur’s cubics they have a super market share and with John Cole and team, now their presence in London. 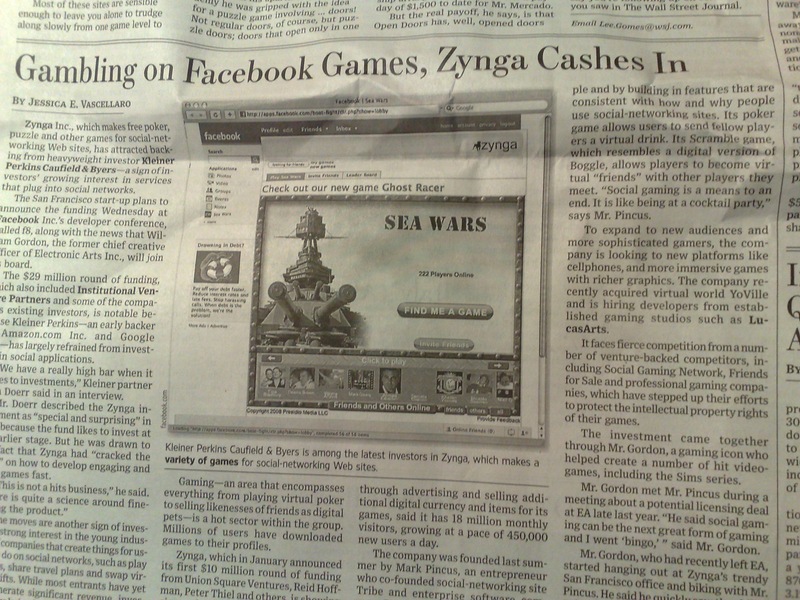 Then, here in my Wall Street Journal, in the technology section a large article on how Zynga is outstripping the others with its known science on building and optimising Facebook social games. The message is clear – the technorati here in San Francisco are betting with their wallets that social networks are here to stay, have massive commercial potential and legacy brands (which now includes web 1.0 companies) will lose out if they haven’t defined a strategy and invested in their social media presence. This is Nudge‘s market place – the bridging point between brands and users – by either creating new applications or piggy backing existing ones through deeply integrated advertising, Nudge can ensure our clients get the commercial edge on their laggard competitors.